The plaster and distemper paint in this church were damaged and discolored from water intrusion and other environmental factors. 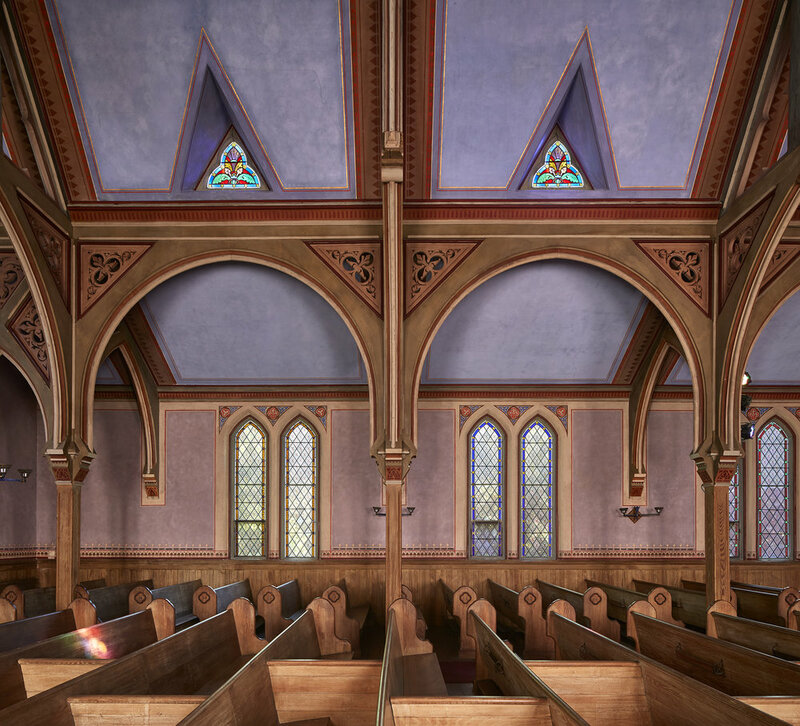 Wood rafters, paneling, and pews were also in need of cleaning and conservation. We stabilized and repaired the plaster, then went about the delicate task of matching, conserving, inpainting, and reinstating the damaged decoration using distemper paint. Wood structures and furnishings received a conservation cleaning, repair, and refinishing.